A Guide To Travel In London - Be On The Road | Live your Travel Dream! As one of the world's most popular tourism destinations, London is a city in which it's hard to go wrong with your travel activity. Whether you spend your time visiting main attractions, attending special events, or simply relaxing and mingling with locals, you're in for a memorable experience. But to help you narrow your focus and choose a few priorities for what to see and do on a trip to London, here's a brief guide to tourism in the area. One high priority for any trip to London is see some of the incredible buildings, monuments, and attractions that exist throughout the city. Yes, sightseeing will make you feel very much like a tourist, and in some cities you're better off abandoning the beaten path and pursuing lesser known thrills. But in London, the iconic sights and postcard images really are worth seeing in person. PlanetWare.com wrote up a nice list of some of the most impressive attractions, including the Tower of London, Trafalgar Square, and The London Eye. We'd also note that among these attractions, so many of which are absolutely beautiful from the outside, many are best experienced through indoor tours. Westminster Abbey, for example, is an architectural wonder from the outside. However, by walking through its chambers and alcoves, you get a true sense for the immense amount of history associated with the building. Similarly, the British Museum is a lovely building to look at, but only by spending an afternoon among its exhibitions can you understand why it's considered one of the best museums in the world! Another outstanding aspect of London travel that many people overlook is the vibrant sports atmosphere that exists almost all year throughout the city. The first sport that comes to mind is probably football, and that's fair enough. London is home to Arsenal, Chelsea, and a number of other top-tier clubs, and their matches are some of the most exciting annual events in the city. Additionally, stunning Wembley Stadium hosts the FA Cup championship every spring. But even beyond football, London is one of the world's greatest sporting cities. BritishAirways.com even goes so far as to point to the city's rugby scene as a reason to travel there in the autumn, offering specific travel packages designed to get visitors in on the action. Indeed, the public gets very excited for professional rugby matches, and attending one as a tourist is a unique thrill. The city is also home to various outstanding once-a-year sporting events such as Wimbledon tennis and the Oxford vs. Cambridge boat races on the Thames. Bouncing back and forth between city attractions and sporting events makes for a fairly busy vacation, however, and it's also worth pointing out that London's simpler pleasures also rank as great sources of entertainment. In particular, the food and shopping throughout the city are regarded by most as top-notch. While England itself isn't known for its cuisine in the same way that nearby neighbours like Spain and France are, the country does have an aptitude for producing wonderful comfort food. These include traditional dishes like shepherd's pie or fish and chips, which you can find at any old pub or restaurant. However, London has also become known for its impressive variety of top-notch international cuisines. If you're really curious about individual establishments, Londonist.com has a nice listing of highly ranked restaurants for a variety of cuisines. But we'd recommend seeking out Indian, Chinese, and Middle Eastern cuisine to experience some of the city's best. As for shopping, your destination will depend somewhat on the sort of items you're looking for. 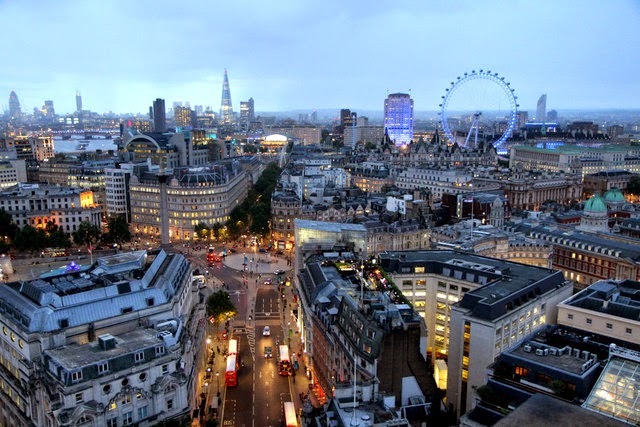 But if you just want to experience what London has to offer overall, areas like Mayfair and Bond Street, Oxford Street, Regent Street and King's Road are known for great stores and enthusiastic crowds of shoppers. Each of these destinations can be an experience in itself. And of course, there's far more to London than all this. There are artistic exhibitions and performances, cultural attractions, amusing crowds of people, city tours. Even beyond the city limits, there are incredible regions and other cities within reasonable driving distance should you wish to explore beyond London for a day or two. But if you're looking for some highlights for a vacation to this beautiful city, this guide should serve as a good start!